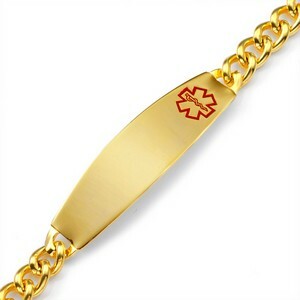 This gold stainless medical ID bracelet is plated with 18K gold. Front and back of plaque can be engraved. 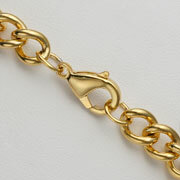 For a similar bracelet in 7 inches, see item CR2043. 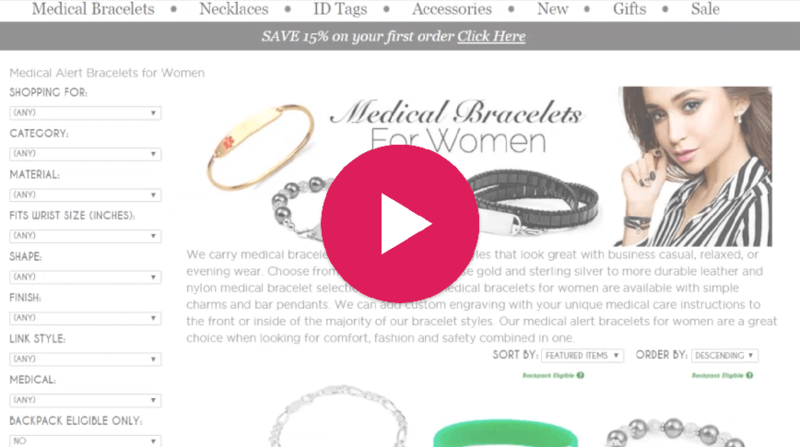 This is one of our most durable medical alert bracelets for men.